Kin 28, Yellow Lunar Star, August 14 marks the completion of the 144 days of Star Remembrance that began on Kin 144 (March, 23, 2014). Supreme shifts have occurred and much memory restored during these 144 days, fractal of a baktun cycle of 144,000 days. It is impossible to articulate all that is occurring. As the gates of light are opening, we are being saturated with many signs and symbols. How we interpret these signs is in accordance to the clarity of our mind and its orientation according to the stage of our soul development. Developing discriminating awareness has never been so crucial for what is about to unfold. Something entirely NEW is happening within us, within our planet, within the solar system, within the galaxy, within the universe and within the multiverse and Beyond. 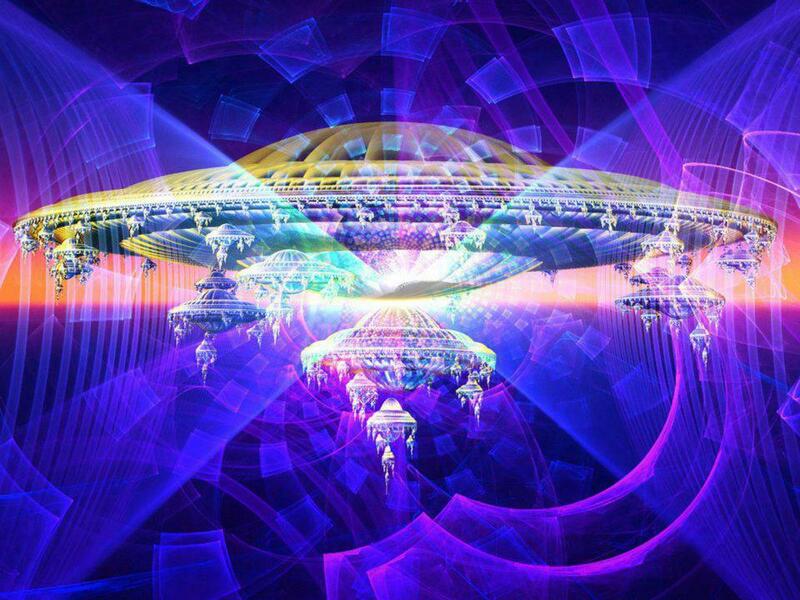 A NEW FREQUENCY is being emitted from the galactic center, unearthing all historical records and bringing them forth into the Light to meet the cosmic future. The artificial grid is collapsing at an accelerated rate, core beliefs are being shattered, mass disillusionment is occurring and during this 812-day cycle we will see unprecedented events unfolding. Our duty is to remain aligned with the Spirit and true to our Core Essence. It is not enough to mouth the words, we are being called to give our ALL to become the living embodiments of our Divine heritage. This is a Holy Time. “Then the Earth will shine with the LIGHT of its Lord. The record will be proclaimed, and the prophets and witnesses will be brought forth. Everyone will then be judged equitably, without the least injustice.” Quran 39:69, 3969 = BMU 441. We are being invited into the larger Galactic Community, but first we must shed every layer of acquired illusion. Only then can the long repressed unrequited cosmic LOVE come bursting forth through each of our hearts, lighting up all universes. On the 136th day of this 144 day cycle, after 602 days of travel, I was given the Key for “housing the mystery” (Kin 20, 7 Sun). This was on the 69th anniversary of Hiroshima and 1 year after releasing Valum Votan’s ashes at the Pyramid of the Sun in Teotihuacan, Mexico where he had had his first vision in 1953. Four days later, in the morning of Kin 24, I had a dream with Votan who transmitted images of the unfolding of world events. We had a lucid discussion about the 812-day program of Sirian rebirth that we had been engaged in at the time of his passing. 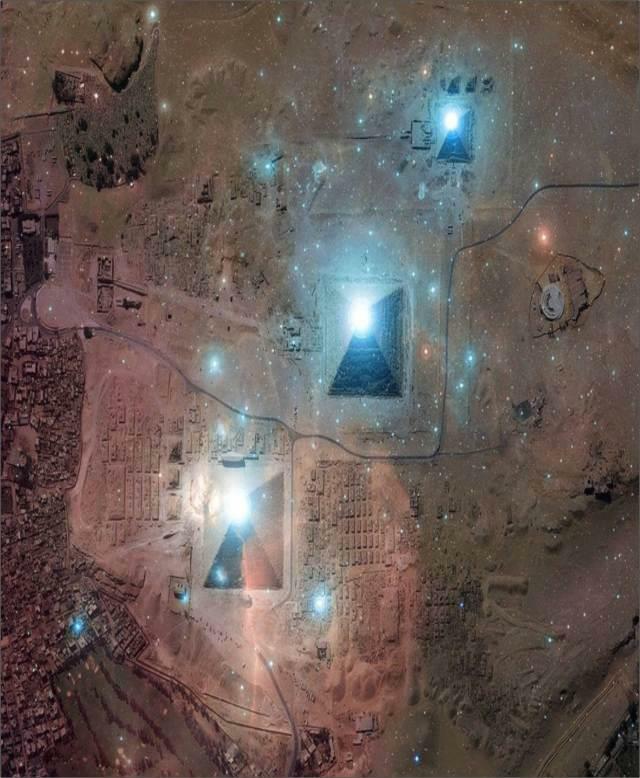 Much information was transmitted (most of which was non-conceptual), though he indicated about learning to “ascend” and “descend” simultaneously and now more than ever the importance of anchoring the new frequency to stabilize the dissonant energies on our planet. Upon waking from the dream I reviewed the 144 days of Star Remembrance. Then I noted that it concludes on Kin 28, and of course the next day is Kin 29. Then I counted 812 days and saw that it concludes on Kin 60, Yellow Galactic Sun, of 11 Storm year (Self-Existing 18/November 4, 2016). 60 – 29 = 31, Kin 31, Blue Overtone Monkey, was signature of his final birthday (January 24, 2011). Also note that the 89th day of the 13 Moon year is Self-Existing 5 (Oct. 22, 2010). This is the day that Valum Votan received the Galactic Spiral Density Wave (Kin 197). The key to these cycles was telepathic element 113, sign of Quetzalcoatl, Lord of the Dawn and this year’s Day Out of Time: July 25, 2015. One synchronicity after another began to reveal itself indicating the significance of this 812-day cycle. It has kept me awake for nearly two nights and it felt important to complete as much as possible by Cosmic Worldbridger, Kin 26, one of the 13 clear signs on the tomb lid of Pacal Votan and 8-12 on the Gregorian calendar. Realizing that the many numbers and information might be baffling for those new to this, however if you print this out and follow along with your 13 Moon Almanac or calendar/synchronometer, with patience, all will become clear. 812 reversed is 218, signature of the opening of the tomb of Pacal Votan. Kin 218 is Day Out of Time July 25, 2016. In vigesimal 812 is written 2.0.12. The 144 days that began on Kin 144 concludes on Kin 28 (Aug. 14, 2014). 28 backward is 82. The 82nd day of the 812-day cycle (that begins on Kin 29) is Kin 110, White Rhythmic Dog (Nov. 4, 2014), key to the divine feminine matrix (as Kin 107 is key to divine masculine in Holomind Perceiver codes). This 812-day cycle concludes two years from this date, Self-Existing Moon 18 (Nov. 4, 2016). The final day of this cycle is Kin 60, Yellow Galactic Sun, birth signature of Pacal Votan from whose tomb all of this knowledge was derived. 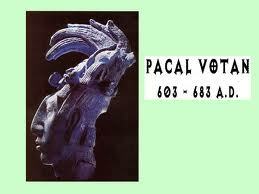 Pacal means “solar shield.” This day lands on the 102nd day of the Spectral Storm Year. Kin 102 is the liberation of Spirit and signature of Paramahansa Yogananda. Self-Existing Moon 4 (Oct. 21) is a Key date to pay attention to, and more specifically Oct. 21, 4772 (see Chapter 13 Book of the Cube). It is interesting that recent decodings of the hieroglyphs at Palenque, which are understood to have been made during the reign of Pacal the Great, refer to dates beyond the end of the Long Count calendar. On the Tablet of the Inscriptions at Palenque a date of 1.0.0.0.0.8 5 Lamat 1 Mol can be inferred – otherwise known as 21 October 4772, almost 3000 years in the future. Perhaps we can deduce from this that Pacal himself believed that the end of the fifth age did not represent the end of time or of the Earth, and that his name would be still mentioned in the sixth age. Valum Votan writes: This is not just a random date, but as noted precisely 7 baktuns and eight days after 21/12/2012, and exactly 20 baktuns and 8 days after the beginning of the Cycle of history, 3113 BC. If October 21 (Self-Existing Moon 4), 4772 is 1.0.0.0.0.8, then October 13, Electric Moon 24, would be the precise completion of the 20 baktun cycle begun on 13 August 3113 (Julian 3114). Here we pause to reflect. The codings are numerous. Self-Existing Moon 4 or 4.4 (Gregorian Oct. 21) is the 88th day of the 13 Moon year. Kin 88 was the final day of Valum Votan’s earthly life. This year Electric Moon 24 (Oct. 13) lands on Kin 88. 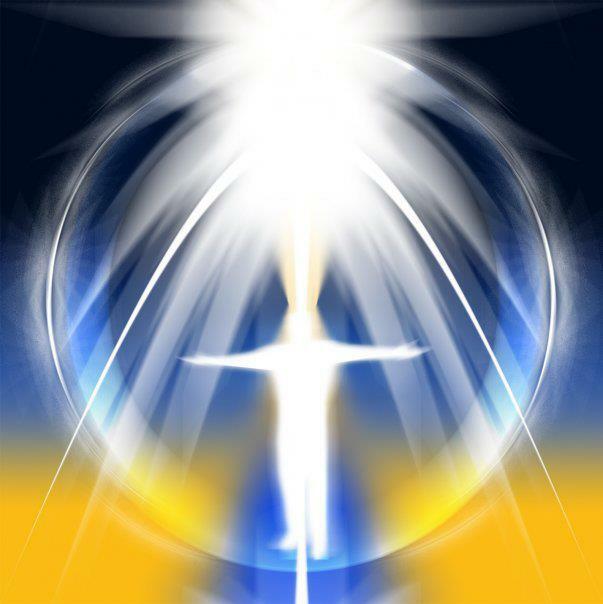 This day marks the 60th day of the 812 days of Sirian rebirth. This signifies a double infinity upgrade to the 11th octave. Regarding the Oct. 13, 4772 date Valum Votan writes: This is actually a revolutionary and stunning fact to consider. Also in the long count the date 1.0.0.0.0.8 is 5 Lamat, Kin 148 Yellow Overtone Star – that is the sign of the Arcturus Command, the sign of the Star Traveler. That also means the 20 baktun Long Count end date would be 10 Ahau – Yellow Planetary Sun, Kin 140, key number of the Telektonon Prophecy. On the Dreamspell, the 1.0.0.0.0.8 return date would be White Resonant Worldbridger 7 Cimi (one of the two lords of Xibalba in the Popul Vuh) and the end date of the 7-(and entire 20) baktun count, would be White Crystal Mirror, Kin 38. Note: The Crystal Mirror holds the round table of the Hand Wavespell, just as the end of the 13 baktun count it was Crystal Hand, that held the round table of the Warrior Wavespell. Because of this information the future can now be recalled, and further meaning be given to the two sequences of cycles – 13 baktuns and 7 baktuns, the two key creation numbers of the Law of Time – 20 baktuns in all, signifying a cycle of totality, the establishment of the Dynasty of Earth. Pay special attention to the Spectral Storm Year. Since the year-bearers run in 52-year cycles, the previous Spectral Storm year occurred in 1964, and before that 1912 (when the Titanic sunk). The next Spectral Storm year will be in 2068 and on every 52 years until 4772 AD! This Blue Spectral Storm Year is New Sirius Cycle 1.29 and begins the 53 52-year cycles or Sirian Wheels (2756 years total). This first Sirian Wheel is from 2016 – 2068. This establishes the First Galactic Dynasty of Timeship Earth. This time will see great advancement of telepathic technologies and mind capacities. The Galactic knowledge and mission is rapidly accelerating on a parallel track to the unfoldment of world events and machine technology. These codes of time, and especially Synchronotron, rapidly accelerate the brain capacities, so that our mind begins to function like a matrix, mathematically ordered and experiencing multiple significances simultaneously. Those who are inspired might keep a log for each 28-day cycle and share their synchronicities in relation to the unfoldment of world events that are sure to be mind-bending. There are many, many treasures within this 812-day cycle of Solar Consciousness for YOU to discover. There are many secret doors to unlock and star gates to open. 1. First 28-day Cycle. Days 1 – 28. Kin 29, 3 Moon, Magnetic 21 (Aug. 15, 2014) – Kin 56, 4 Warrior, Lunar 20 (Sept. 11, 2014). 9 Moon Year, 28 days complete. 2. Second 28-day Cycle. Days 29 – 56. Kin 57, 5 Earth, Lunar 21 (Sept. 12, 2014) – Kin 84, 6 Seed, Electric 20 (Oct. 9, 2014). 9 Moon Year, 56 days complete. 3. Third 28-day Cycle. Days 57 – 84. Kin 85, 7 Serpent, Electric 21 (Oct. 10, 2014) – Kin 112, 8 Human, Self-Existing 20 (Nov. 6, 2014). 9 Moon Year, 84 days complete. 4. Fourth 28-day Cycle. Days 85 – 112. Kin 113, 9 Skywalker, Self-Existing 21 (Nov. 7, 2014) – Kin 140: 10 Sun, Overtone 20 (Dec. 4, 2014). 9 Moon Year, 112 days complete. 5. Fifth 28-day Cycle. Days 113 – 140. Kin 141, 11 Dragon, Overtone 21 (Dec. 5, 2014) – Kin 168, 12 Star, Rhythmic 20 (Jan. 1, 2015). 9 Moon Year, 140 days complete. Telektonon cycle. 6. Sixth 28-day Cycle. Days 141 – 168. Kin 169, 13 Moon, Rhythmic 21 (Jan. 2, 2015) – Kin 196, 1 Warrior, Resonant 20 (Jan. 29, 2015). 9 Moon Year, 168 days complete. 7. Seventh 28-day Cycle. Days 169 – 196. Kin 197, 2 Earth, Resonant 21 (Jan. 30, 2015) – Kin 224, 3 Seed, Galactic 20 (Feb. 26, 2015). 9 Moon Year, 196 days complete. 8. Eighth 28-day Cycle. Days 197 – 224. Kin 225, 4 Serpent, Galactic 21 (Feb. 27, 2015) – Kin 252, 5 Human, Solar 20 (Mar. 26, 2015). 9 Moon Year, 224 days complete. 9. Ninth 28-day Cycle. Days 225 – 252. Kin 253, 6 Skwywalker, Solar 21 (Mar. 27, 2015) – Kin 20, 7 Sun, Planetary 20 (Apr. 23, 2015). 9 Moon Year, 252 days complete. 10. Tenth 28-day Cycle. Days 253 – 280. Kin 21, 8 Dragon, Planetary 21 (Apr. 24, 2015) – Kin 48, 9 Star, Spectral 20 (May 21, 2015). 9 Moon Year, 280 days complete. 11. Eleventh 28-day Cycle. Days 281 – 308. Kin 49, 10 Moon, Spectral 21 (May 22, 2015) – Kin 76, 11 Warrior, Crystal 20 (Jun. 18, 2015). 9 Moon Year, 308 days complete. 12. Twelfth 28-day Cycle. Days 309 – 336. Kin 77, 12 Earth, Crystal 21 (Jun. 19, 2015) – Kin 104, 13 Seed, Cosmic 20 (Jul. 16, 2015). 9 Moon Year, 336 days complete. 13. Thirteenth 28-day Cycle. Days 337 – 364. Kin 105, 1 Serpent, Cosmic 21 (Jul. 17, 2015) – Kin 132, 2 Human, Magnetic 19 (Aug. 13, 2015). 9 Moon & 10 Wizard Years, 364 days complete. 14. Fourteenth 28-day Cycle. Days 365 – 392. Kin 133, 3 Skywalker, Magnetic 20 (Aug. 14, 2015) – Kin 160, 4 Sun, Lunar 19 (Sept. 10, 2015). 10 Wizard Year, 392 days complete. 15. Fifteenth 28-day Cycle. Days 393 – 420. Kin 161, 5 Dragon, Lunar 20 (Sept. 11, 2015) – Kin 188, 6 Star, Electric 19 (Oct. 8, 2015). 10 Wizard Year, 420 days complete. 16. Sixteenth 28-day Cycle. Days 421 – 448. Kin 189, 7 Moon, Electric 20 (Oct. 9, 2015) – Kin 216, 8 Warrior, Self-Existing 19 (Nov. 5, 2015). 10 Wizard Year, 448 days complete. 17. Seventeenth 28-day Cycle. Days 449 – 476. Kin 217, 9 Earth, Self-Existing 20 (Nov. 6, 2015) – Kin 244, 10 Seed, Overtone 19 (Dec. 3, 2015). 10 Wizard Year, 476 days complete. 18. Eighteenth 28-day Cycle. Days 477 – 504. Kin 245, 11 Serpent, Overtone 20 (Dec. 4, 2015) – Kin 12, 12 Human, Rhythmic 19 (Dec. 31, 2015). 10 Wizard Year, 504 days complete. 19. Nineteenth 28-day Cycle. Days 505 – 532. Kin 13, 13 Skywalker, Rhythmic 20 (Jan. 1, 2016) – Kin 40, 1 Sun, Resonant 19 (Jan. 28, 2016). 10 Wizard Year, 532 days complete. 20. Twentieth 28-day Cycle. Days 533 – 560. Kin 41, 2 Dragon, Resonant 20 (Jan. 29, 2016) – Kin 68, 3 Star, Galactic 19 (Feb. 25, 2016). 10 Wizard Year, 560 days complete. 21. Twenty-first 28-day Cycle. Days 561 – 588. Kin 69, 4 Moon, Galactic 20 (Feb. 26, 2016) – Kin 96, 5 Warrior, Solar 19 (Mar. 25, 2016). 10 Wizard Year, 588 days complete. 22. Twenty-second 28-day Cycle. Days 589 – 616. Kin 97, 6 Earth, Solar 20 (Mar. 26, 2014) – Kin 124, 7 Seed, Planetary 19 (Apr. 22, 2016). 10 Wizard Year, 616 days complete. 23. Twenty-third 28-day Cycle. Days 617 – 644. Kin 125, 8 Serpent, Planetary 20 (Apr. 23, 2016) – Kin 152, 9 Human, Spectral 19 (May 20, 2016). 10 Wizard Year, 644 days complete. 24. Twenty-fourth 28-day Cycle. Days 645 – 672. Kin 153, 10 Skywalker, Spectral 20 (May 21, 2016) – Kin 180, 11 Sun, Crystal 19 (Jun. 17, 2016). 10 Wizard Year, 672 days complete. 25. Twenty-fifth 28-day Cycle. Days 673 – 700. Kin 181, 12 Dragon, Crystal 20 (Jun. 18, 2016) – Kin 208, 13 Star, Cosmic 19 (Jul. 15, 2016). 10 Wizard Year, 700 days complete. 26. Twenty-sixth 28-day Cycle. Days 701 – 728. Kin 209, 1 Moon, Cosmic 20 (Jul. 16, 2016) – Kin 236, 2 Warrior, Magnetic 18 (Aug. 12, 2016). 10 Wizard & 11 Storm Years, 728 days complete. 27. Twenty-seventh 28-day Cycle. Days 729 – 756. Kin 237, 3 Earth, Magnetic 19 (Aug. 13, 2016) – Kin 4, 4 Seed, Lunar 18 (Sept. 9, 2016). 11 Storm Year, 756 days complete. 28. Twenty-eighth 28-day Cycle. Days 757 – 784. Kin 5, 5 Serpent, Lunar 19 (Sept. 10, 2016) – Kin 32, 6 Human, Electric 18 (Oct. 7, 2016). 11 Storm Year, 784 days complete. 29. Twenty-ninth 28-day Cycle. Days 785 – 812. Kin 33, Electric 19, 7 Skywalker (Oct. 8, 2016) – Kin 60, 8 Sun, Self-Existing 18 (Nov. 4, 2016). 11 Storm Year, 812 days complete. Solar Consciousness attained. One baktun for each of seven generations to unfold their long-rehearsed and ancient future history. 53 cycles of 52-years, the Sirian round of time, running from 2016, 11 Storm, to 4772, also an 11 Storm year, 2756 years in all for the Seven Dynasties of Timeship Earth to unfold their future legacy. Then shall I return, time’s special witness, by Arcturus Star Command, on the eighth day after the 7th baktun – the completion of the 20 baktuns of the cycle of the transformation of the Earth, on the 90th day following the completion of the 53rd solar galactic cycle, the cycle of Sirian rebirth in time …And then it will be understood what is meant by seven generations to come, seven baktuns in all, 53 cycles of the Sirian Wheel of Time. It is my job – my duty – for all humanity to see and to define what lies beyond that threshold for the next 2760 years – until my next return at that time as a star traveler from the distant future – that is, until the year AD 4772 – exactly seven baktuns and eight days after 2012. Look: From 3113 BC to 353 BC, the end of the seventh Baktun of the Mind Teachings is exactly 2760 years, the same measure as 2012 to 4772, 2760 years, exactly seven baktuns after the closing of the cycle – that is when I shall return. 4772 = 7885 years after 3113 BC that is exactly 2,880,000 kin, the equivalent of 20 baktuns. In vigesimal notation 20 baktuns, 144,000 x 20 kin, is written 1.0.0.0.0.0. 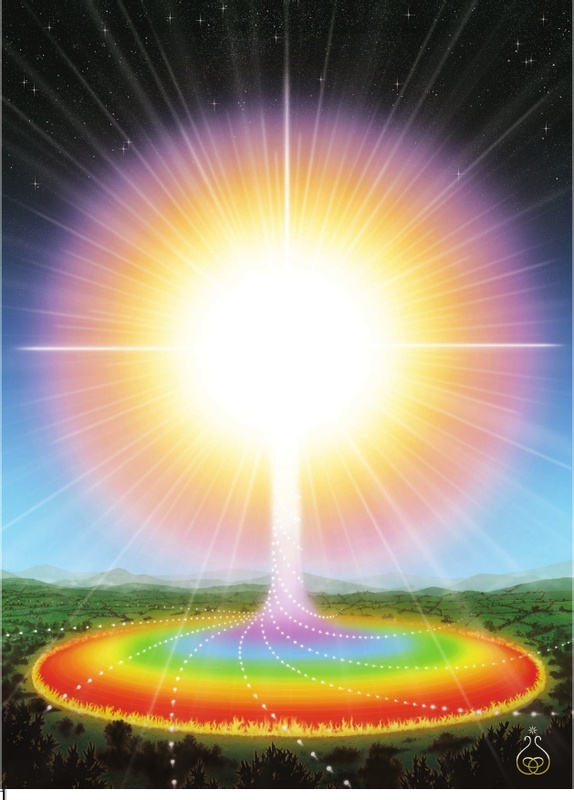 Background Information: The initial 812-day program of Radiance began on Kin 69, 4 Moon, Magnetic 16, 2 Wizard Year (Aug. 10, 2007). It completed on Kin 101, 10 Dragon, Self-Existing 14, 4 Seed Year (Oct. 31, 2009). This first 812-day program was oriented toward cultivating psychophysical radiance of the subtle body as a principle quality of the noosphere. The next 812-day program of Sirian Rebirth began on Kin 102, 11 Wind, Self-Existing 15, 4 Seed Year (November 1, 2009–Mevlana Day). For this cycle we were focused on the integration of the 441 Holomind Perceiver into conscious functioning for noogenesis through activation of the red and blue vulom force field circuits (method of synchronotron). The program would have taken us through to Resonant Moon 12, Kin 133, Red Electric Skywalker (which is the GUIDE for the Red Electric Moon, Kin 29 – the day that begins the current 812-day cycle to Solar Consciousness). WOW, i felt at times while reading, that i was reading a VV article freshly printed, much thanks RQ. …these past few days dear RQ ..spirit/ votan…has given me so many of those number codes and led me to a lot of what I see that you have now written..including the importance of cosmic WB . Kin 26 … The 88 and the clear signs…and the excerpts and verses of votan you have posted . As you know, I am only newly uncovering the meanings prophecies and codes, as I learn more about the cosmic history and the information thus far shared .. I think the good thing about this is, as I habe mostly no previous knowledge, when you write these blogs and I am soo assimilated with them in synchronicity ..I understand that I am being shown and then understanding all given when you write it in form and meaning. ..the synch comes together as you put it all together so well …the ongoing history chronicles for our time. ..this 12 sept kin 57 is my solar return birthday , I take on the energy of a personal 5 earth year, my antipode as I am as u know kin 107 blue hand…so …grateful that I am open to receive, and then to understand and see the deciphering and meanings . Unfoldment of the spirit star traveller within…so many thanx for your dedication and work. Just have a question regarding to the day and its kin. Is it correct? Thank you. Was share. I also will let along to a new beginning.Your message leads important. The phone number for the Hamilton Pool Preserve is 512-264-2740. Also the last day of the 8th 28-day cycle of the 812 Days to Solar Consciousness (Mar. 26th 2015). Also the last day of the 27th 28-day cycle of the 812 Days to Solar Consciousness (Sep. 9th 2016). Vinals are 20-day cycles that recount the sequence of the cycle of solar wisdom. 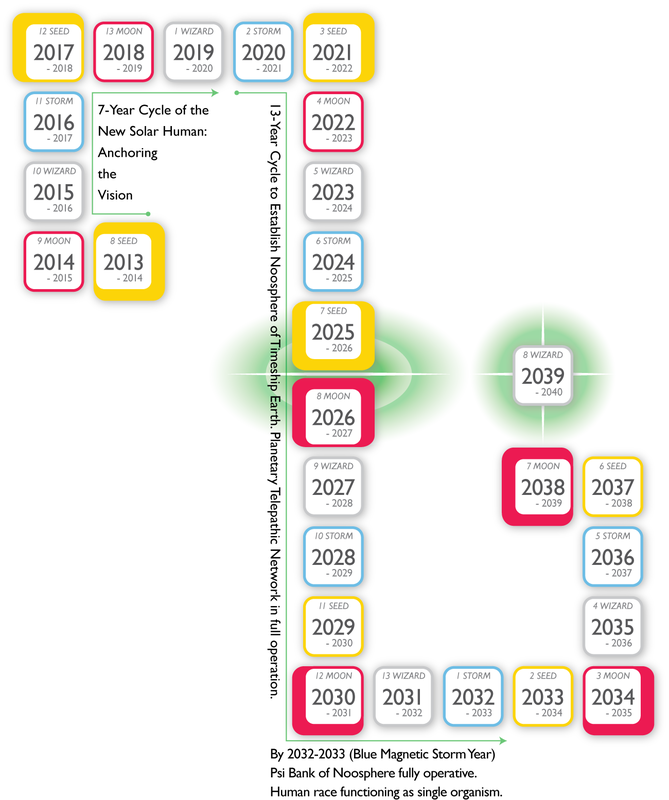 Vinal cycles start at the beginning of the year and change every 20 days on the yearly solar seal. There are 18 Vinals (x20 days = 360 days) + a five-day cycle called the Uayeb (= 365 days), a time for purification and reflection. Names from the vinal solar cycle are derived from the original Maya. Together the vinals constitute the pure solar cycle or Haab, and the affirmations describe the wisdom of the sun as a single, multiply articulated thought form. Can you define what lies beyond the threshold of the next 2760 years? Or should I say “2,760 Planetary Service Wavespells”? The Hamilton Pool Preserve is a natural pool that was created when the dome of an underground river collapsed due to massive erosion thousands of years ago. The pool is located about 23 miles west of Austin, TX off Highway 71. A protected natural habitat featuring a jade green pool into which a 50-foot waterfall flows, the pool is surrounded by large slabs of limestone that rest by the water’s edge. Large stalactites grow from the ceiling high above and are home to moss, maidenhair fern and cliff swallows. The Ashe Juniper (Cedar) uplands of the preserve are home to the endangered golden-cheeked warbler. Hamilton Pool is part of the Balcones Canyonlands Preserve and is a protected environment. How much will this pool have moved in 2,760 years? If you measured inches of erosion per year then you could put together an accurate hypothesis. What metaphor matches the way a stream of water erodes and cuts through rock. What purity are we containing? What has the power to cut through ancient repositories of information and energy. The ancient stone stands rigid and unmoving during a lifetime. But after many lifetimes, only the gold refined in the fire will remain. How much were we willing to love? How often did we stand in the face of fear to prove that love is more important and more powerful? Seven generations later, only the love that you’ve shared while here on Earth will trickle through. If you gave enough of it, and if it was powerful enough to conquer your darker selves. Some time ago, I made a decision to absolve my shadow self by giving into my luminous self. I also made a promise to my tekas that I would purify them in the freshest underground springwater that I could find. I had neglected them for some number of days and by this point their influence was fading. I felt my relationship with them symbolizing an unfulfilled transformation. On Red Crystal Serpent (Kin 25), against all financial logic, security, and comfort, I bought a ticket to Barton Springs in Austin. In the afternoon after I had bought my bus ticket, I witnessed a brilliant white cloud refusing to be absorbed by an oncoming storm. Just when negativity promised a bleak outcome, a sparkling little white cloud scoffed at the storm, reflecting the sun’s light in the most amazing brilliance, causing into existence a beautiful double rainbow. Lightning crackled around the tiny cloud as if the storm threatened it’s adversity, but the sliver of light would not diminish in radiance. Of it’s own power, it moved perpendicular to the storm. what would happen if we did this almost all the time, while enjoing it, wouldnt the world be a beautifuller, happier, harmonious place? On Kin 19 and the following days a revelation started informing me of the synchronized Dreamspell dates of Pacal Votans life. 603-683. Certainly I would also check the RetURn date on page 199 of the Cube book and noticed the Electric 24 misstake and the “old Tzolkin” prophetic Kin marker 5 Lamat “Arcturus Command” … As this is an amazing and sacred information please give me some time to synthesize and bring it down on paper. Until then see the essence of the Votan Spirits Pacal and Valum on page 189 and what the future brings on page 185 …. Reblogged this on Apollo Solaris. Reading this post I hear a ¡clik! inside my self, and a “rain” of numbers conexion over the works done last Galactic Seed year…. I wake up at kin 29 in a hurry priority to built up a “Destiny Spell of purificatión” starting on Magnetic Moon Year ….13 years of ¡Velatropa 24.3 destiny! Initiation-Red (+) -Purification Moon at the 4º dimensión of time pulsar … 4745 days (+27= 4772) ….. (not abble to paste picture here ¿?…) but lots of inspiration cames for it. and… how could be it writting down ? Hopping and waiting be helped from Stars Guide. I was studing númber 88 (till your post, I did not conected as last live day of Valum V.) becouse 88 is a MAIN CLUE, on the HUMAN DESIGN System that was buided up by a man that, by his live and mission dates, has many and main conexion whit Valum live and mission on earth…..
Much love and gratitude Stephanie, Thank you. Dear STEPHANIE SOUTH: “August Rush” is ending and “Perfect September” is coming… yesterday, 29 aug 2014 (kin 43) I received NEW instructions through the movie “Lucy” (Universal Pictures). I know who I M. I am like Lucy. I am ready to share, R U? electric serpent + crystal serpent = 5.3 + 5.12 = 10.15(-13) = 10.2 lunar dog, I challenge U 4 D ROMA-AMOR vibrational challenge. I have a lot to show you, to Mertxe Zuza and to Lwx Votán Quetzál Ylwhvatarkh. Please send me an e-mail at iceberg.publicidad@hotmail.com and I will answer back 2 U… ALL IN ONE Prophecies Fulfilled, and I DOCUMENTED everything. Now I can prove G.O.D. existence to science trought recolected data and most of all, tell the story to the world. We LOVE stories. with faith & inconditional love, MOM (Mauricio Ortiz Martinez) from OZ (Orizaba, Veracruz, Mexico). Greetings to Valum Votan, tell him that I would like to meet him too. Blessings 4 ALL. We are ONE. Everything is PERFECT. TIME is the feeling that things are happening for the FIRST time! Indeed!! I have been getting the same info regarding the end of 2016 and am thankful for the Blessed Coincidence of running itno this blog post. 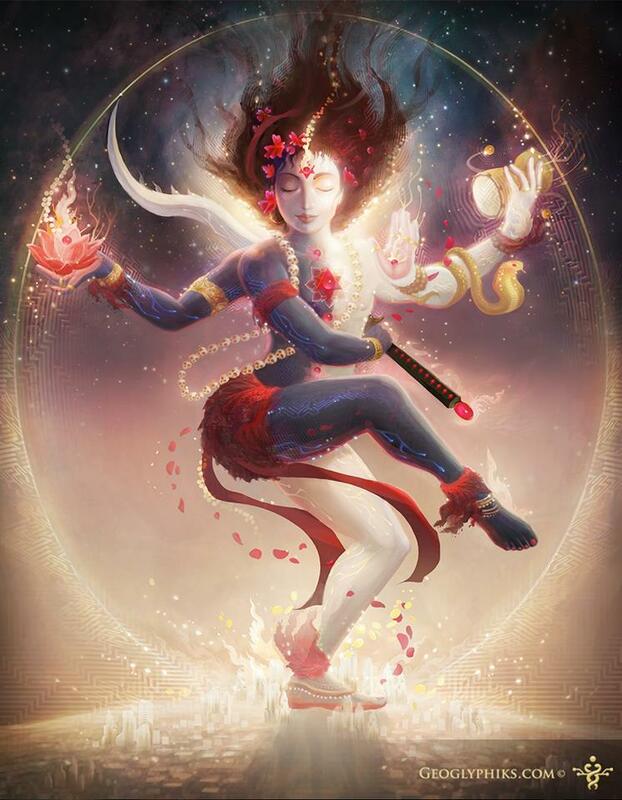 The Era of Truth is here: we mus attune ourselves to a higher Consciousness Resonance so that we may receive and take in all of the connections we are due from Universe. WOW!! Infinite LOVE to ALL! I searched phases of the sun relative to consciousness and found this article! 💗. LOVE IT! El día 28 de la luna Rítmica es el día 513 de 812. Esta luna esta codificada por el kin 240, 6-Sol estamos entonces completando la Matriz Rítmica (armónica 60 –> Runa 20http://www.13lunas.net/armorunas/20.png ) por tanto completando la Trayectoria Armónica 12 del Tzolkin con el sello Sol y tono 6, una señal del nacimiento del Sexto Sol !!!. Al día siguiente día 514 de 812, día 1, luna 7… se abre ante nosotras las ultimas 20 lunas para completar la Trayectoria Armónica 13 del ciclo de 260 lunas de gestación de la nueva Tierra. (208 lunas a la Torre de la Magia de Merlín + 52 lunas de resurrección en el nuevo NoosBaktum y la recuperación de Castillo verde del Tiempo). La luna 7 es la luna codificada por el Kin 241 el Dragón Místico que es un portal de activación galáctica abierto que abre la entrada planetaria a la Matriz Cósmica ! Por lo cual en el Año Tormenta 11 codificada por la Onda encantada de la Estrella del Arte (onda encantada 20), la que cierra el Tzolkin, justo en la luna autoexistente codificada por el Mono 4, en el día 18 – Kin 60, Sol 8, (4 de Noviembre 2016) los 812 días son completos y la Consciencia Solar alcanzada !!! POR TANTO 260 + 2 días después de alcanzar la Consciencia Solar completamos el ciclo de 260 lunas que dan nacimiento a la Noosfera al completar la Matriz Cósmica ! 260 días son 9 meses, la media de la gestación del ser humano… 262 días de gestación del Nuevo Humano Noosferico y el renacimiento Siriano… y de esta sincrónica manera comienza un día después el anillo solar semilla cristal amarilla! 560 – 298 = 262 = 9 Lunas de gestación noosferica al terminar el ciclo de 812. Kin 12, Humano 12, Luna Rítmica 19 (31 de Diciembre 2015). vease la 20 tablas de la ley del tiempo llegaron en el Quinto año de la Profecía (año 1997-98)y comenzamos la cuenta regresiva de 208 lunas para el cierre del ciclo, las 208 lunas son el fractal de la evolución humana hasta el robo del tiempo . 208 lunas son los 4 castillos del tiempo y en el kin 209 comienza el quinto castillo el castillo verde del tiempo usurpado por las torre de babel es Recordado… ! i understand a little bit how 52 year cycles work with 13 moon calendar.